A 17-year-old confessed to aiming for people he didn't like at a Texas high school when he opened fire Friday, killing 10 people Friday, a court document shows. Suspect Dimitrios Pagourtzis, 17, said to an investigator he spared people he liked to tell his story, and he acted alone, a probable cause affidavit says. 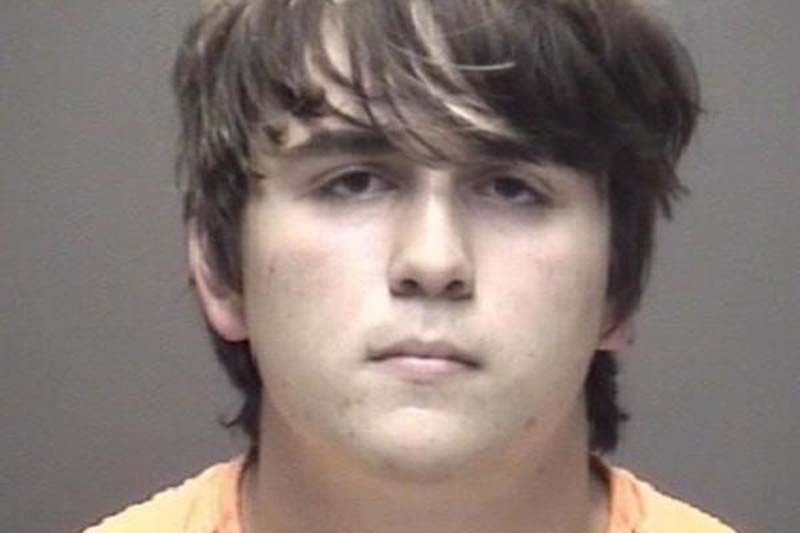 Pagourtzis was denied bail by Galveston County Judge Mark Henry on Friday night in a three-minute probable cause hearing in relation to the shooting in the morning at Santa Fe High School, near Houston in southeastern Texas. He is being held on two charges, capital murder and aggravated assault. Pagourtzis requested a court-appointed attorney. The FBI raised the number from of people injured in the attack to 13 from 10 on Saturday at a news conference. Eight students and two teachers were killed and out of the 13 injured, three were still hospitalized Saturday. Pagourtzis' family on Saturday said in a statement they are saddened and dismayed. "We extend our most heartfelt prayers and condolences to all of the victims. We also wish to thank all the first responders from all over Texas that assisted in rendering aid and support," according to the statement. The family, who said they are as shocked and confused as anyone else, described Dimitrios Pagourtzis as "a smart, quiet, sweet boy." "While we remain mostly in the dark about the specifics ... what we have learned from media reports seems incompatible with the boy we love," the statement read. "We share the public's hunger for answers as to why this happened, and will await the outcome of the investigation before speaking about these events." The family said they are cooperating with authorities and asking for the public's patience while the investigation moves forward. "We ask the public to please extend privacy, both to the victims and to our own family, as all of us try process these events, and begin the healing process," according to the statement. Superintendent Dr. Leigh Wall said at the news conference school will be closed Monday and Tuesday, and said a counseling triage is being set up for students as officials work to get them back to school as soon as possible. The Baccalaureate ceremony for seniors is scheduled for Sunday on the school's calendar. Graduations is June 1. Police Chief Walter Braun of the Santa Fe Independent School District declined to comment on the investigation, deferring that to the FBI. He said that students on Saturday afternoon were being accompanied by an officer to the campus to collect their belongings, including cars. "Our officers went in there and did what they could... They went in there immediately," Braun said about the response after the shooting. "We are hurt, but not broken," Santa Fe Mayor-Elect Jason Tabor added at the news conference. "Our strength comes from our resiliency. We are Sante Fe strong." Investigators believe Pagourtzis acted alone after interviewing two other suspects. Among the injured was retired Houston police officer and School Resource Officer John Barnes, who was shot in the arm and needed surgery. On Saturday, Barnes was listed in critical condition along with another unidentified patient, according to a Twitter post by the University of Texas Medical Bureau in Galveston. One person under 18 was listed in good condition. Barnes was the first person to engage with Pagourtzis, said David Marshall, chief nursing officer at the University of Texas Medical Branch in Galveston. "Police Officer John Barnes family, thank you for your prayers," Houston Police Chief Art Acevedo tweeted on Friday afternoon. "John is hanging in there and the family is very hopeful." At 8:02 a.m. -- 30 minutes after the shooting started -- Pagourtzis left one of the art classrooms and surrendered, authorities wrote in a court filing. All of the injuries and deaths occurred within the art complex of four rooms, Henry, the county's chief administrator, said in a USA Today report. A couple of explosive devices were recovered at the school and "several" in Pagourtzis' vehicle and home, said U.S. Rep. Michael McCaul, R-Texas, the head of the U.S. House Homeland Security Committee. U.S. Rep. Randy Weber, a Republican serving the 14th district in Texas, also appeared at the news conference. "This is a tough time," he said. "We've got a hurting community. We got people who've lost loved ones, students and adults. This is going to be a time for our community of healing." Weber continued: "This is the second time in eight months we've gone through tragedy. We had hurricane Harvey in August and now this . . . We will love one another. We'll work together. . . We did it after Harvey. Still doing it after Harvey. We'll do it after this." The shooting also occurred three months after another high school shooting in Parkland, Fla., that killed 17 people. Santa Fe students took part in a national school walkout to honor its victims. "Santa Fe High, you didn't deserve this," tweeted Emma Gonzalez, a high school student in Parkland who became an activist against gun violence after the February shooting. "You deserve peace all your lives, not just after a tombstone saying that is put over you. You deserve more than Thoughts and Prayers, and after supporting us by walking out we will be there to support you by raising up your voices."